Bluebird’s Sod Cutters have been upgraded to redefine function and durability. Smooth, Stable, Simple and Effective best describe their attributes. 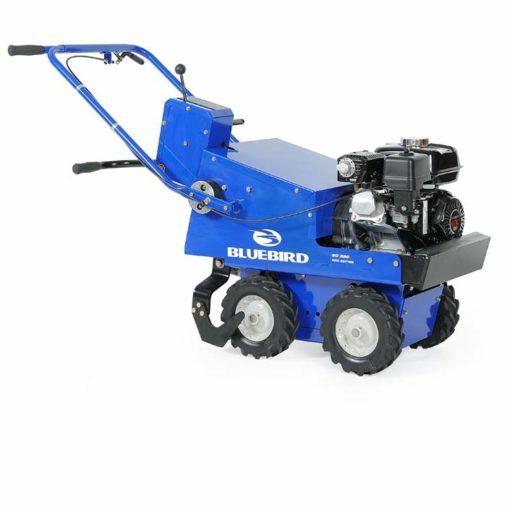 Smooth, stable, simple and effective best describe the attributes of Bluebird Sod Cutters. 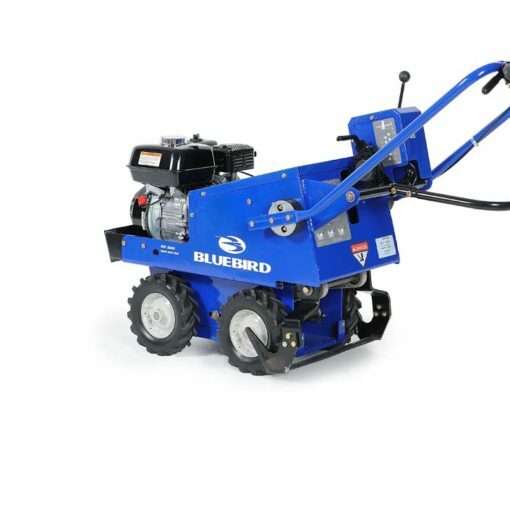 Bluebird’s 18” Sod Cutters are designed to make even the toughest jobs quick and easy. The SC550 and SCG550 feature a five-speed gear selection including two cutting speeds and two transport speeds. They also offer features that are not available on competitive units such as reverse gear and four-wheel drive for improved traction and stability. The pistol-style handle arrangement increases operator comfort, while the easy blade engage handle significantly reduces the effort required to lower the blade into the ground. The simple design also makes service and maintenance easier with fewer parts. It’s sod cutting made simple and effective.